You don’t want to be home “at” the range to make this—cowboy steak is meant to be cooked over an open flame! This is the hottest steak on the trail. 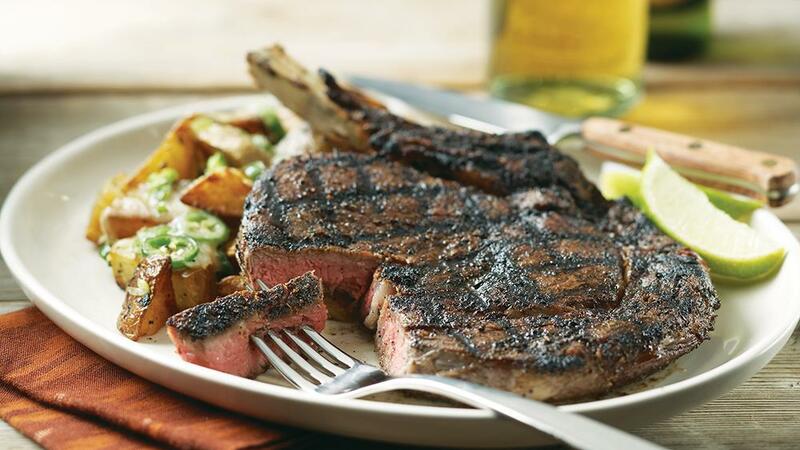 Lobel’s of New York describe their bone-in ribeye as “serious business for the serious steak lover.” I agree 100%. When it’s time to really eat steak, this is the cut to buy. 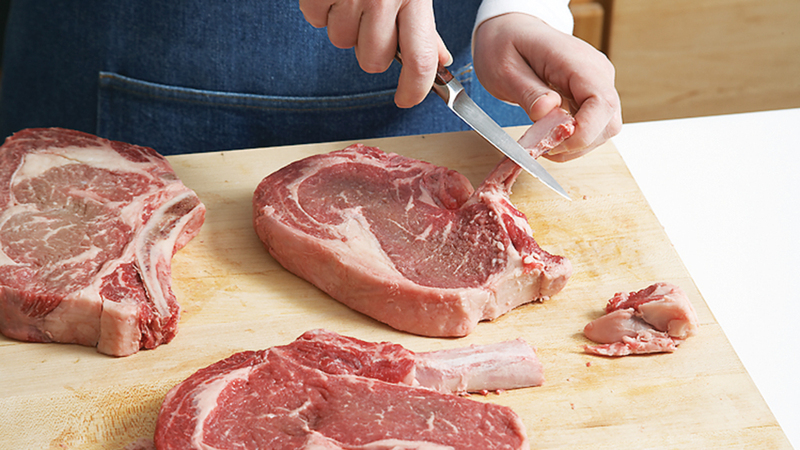 More and more grocers carry bone-in ribeyes, but they’re not available everywhere. Hit the web and check out Lobel’s or Allen Brothers, both outstanding sources for great beef. Still, if they’re hard to come by, a boneless ribeye will work fine. The important thing here is that you try this unique coffee rub. It gives the beef a deep, rich flavor which is quite intense. Preheat grill to medium-high. Trim steaks of excess fat and scrape bones of connective tissue. 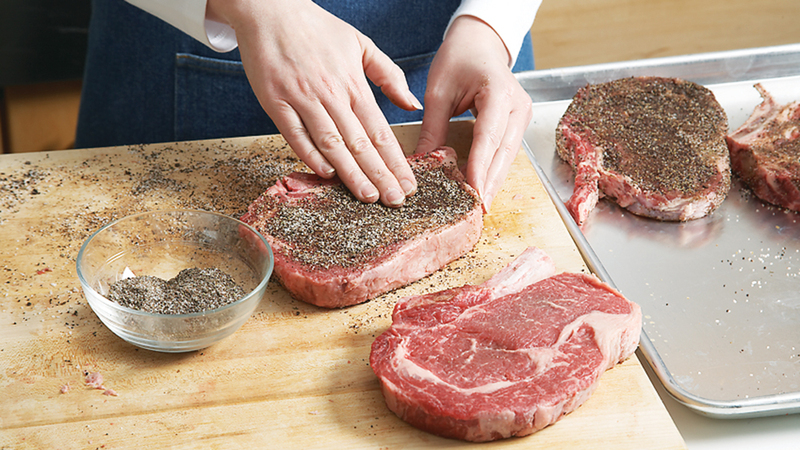 Combine coffee and seasonings for the rub, then apply to both sides of steaks. Grill steaks to desired doneness, about 4 minutes per side for medium-rare. Let rest 5 minutes before serving. “French” the steaks’ bones by using the back of a small knife to scrape them clean. 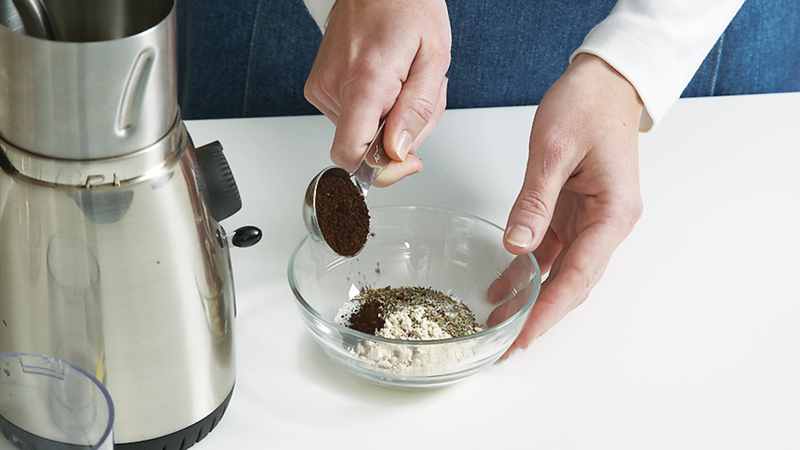 Freshly ground coffee beans will give the rub the most intense flavor; use it if you can. Press the rub mixture onto both sides of each steak—about 1 teaspoon per side is fine. 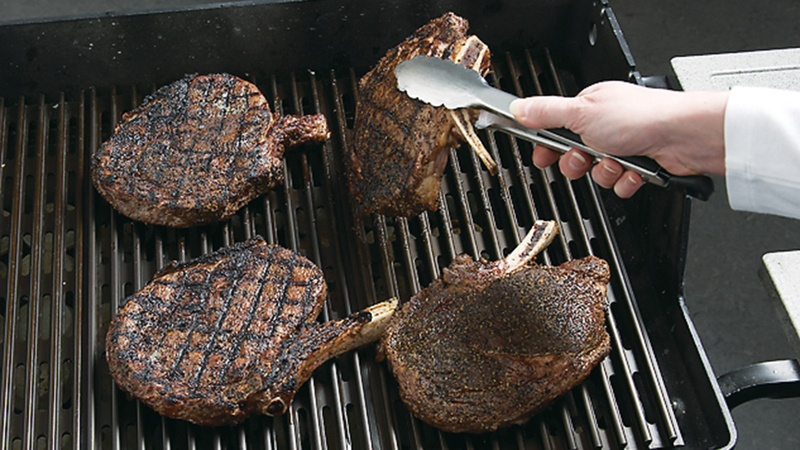 For attractive crosshatch marks, rotate the steaks 90° halfway through cooking on one side.